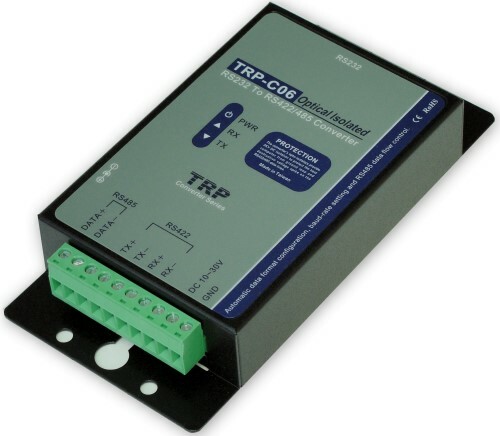 The TRP-C06 allows RS-232 line signal to be bi-directionally converted to RS-422 or RS-485 standard and transmit data up to 1.2KM . Featuring automatic data format and baud rate detect function user just need to plug in the unit and go without extra configuration efforts. TRP-C06 is equipped with 3000V DC of isolation and internal surge protection on data lines to protect the host computer and converter against high voltage spikes, as well as ground potential differences. The industry standard DIN rail and panel mounting design enable user a fast and professional installation. Wide range input DC power supply. Auto direction flow control on RS-485. Auto baud rate switching from 300bps to 115.2Kbps. Surge protection on RS-422/485 data lines. Din rail or panel mounts support. 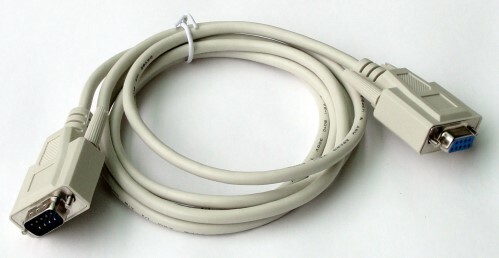 Host connection: Standard D-Sub 9 pin female connectors. RS-232 signal: TXD, RXD, and GND. RS-422/485 interface: Industrial plug-in screw terminal. RS-485 signal: differential 2 half-duplex wires (DATA+, DATA-). 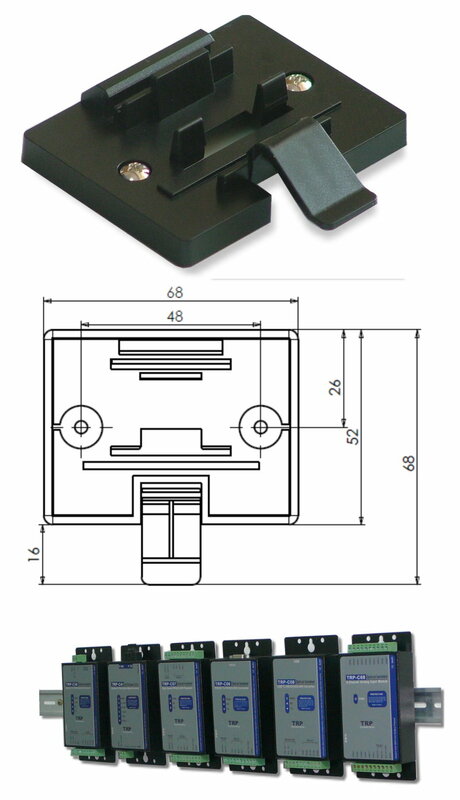 Plug-in screw terminal wiring: Accepts AWG #12 ~30 wires. Transmission distance: RS-422/485 up to 4000ft (1200M). Communication speed: from 300bps to 115.2Kbps. Serial data format: Asynchronous data with all common combination of bits, parity, stop. Signal LED: Power on, TX, and RX. Operating Temperature：-10 to 50℃ . T-snap (Option) DIN rail mounting adapter.